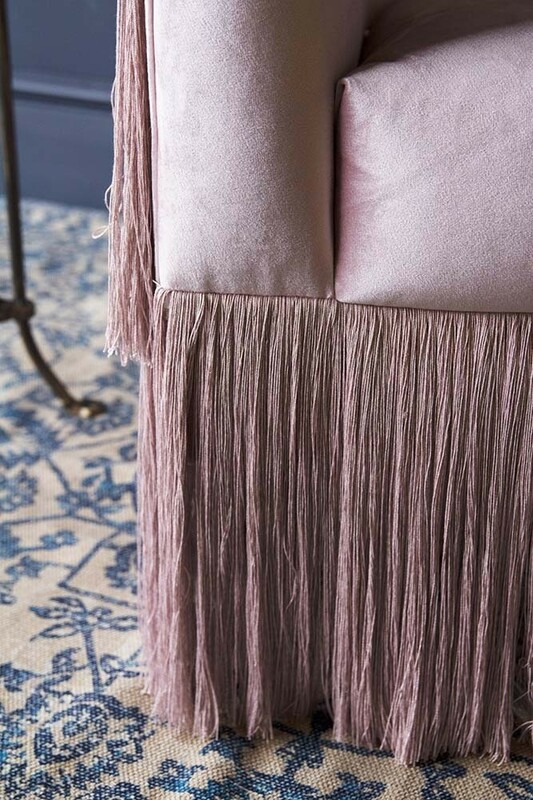 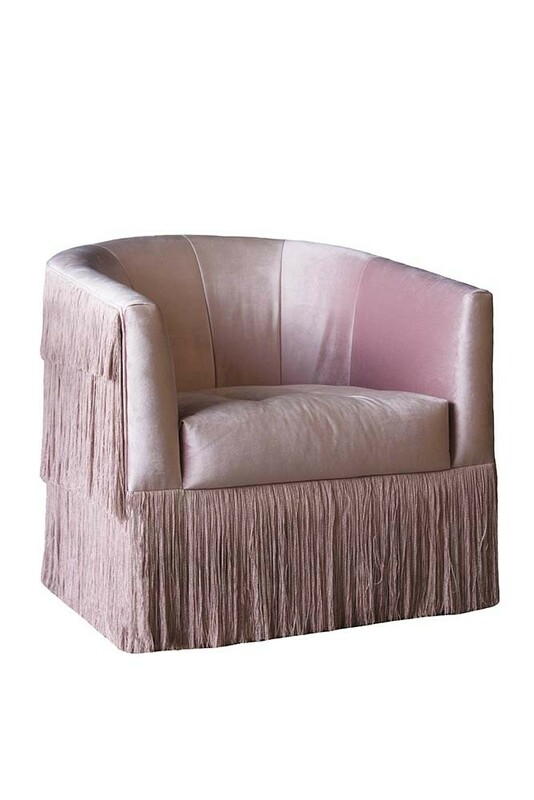 Oozing with personality you’ll love the Fabulous Fringed Pink Velvet Armchair! 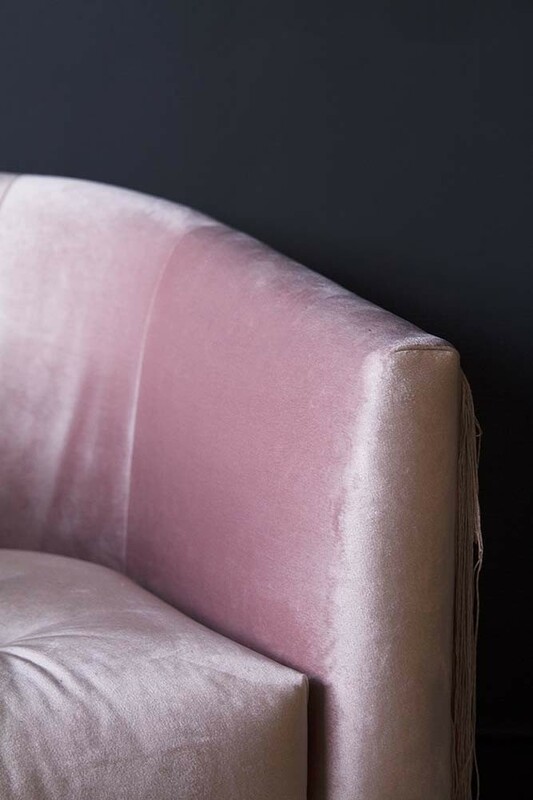 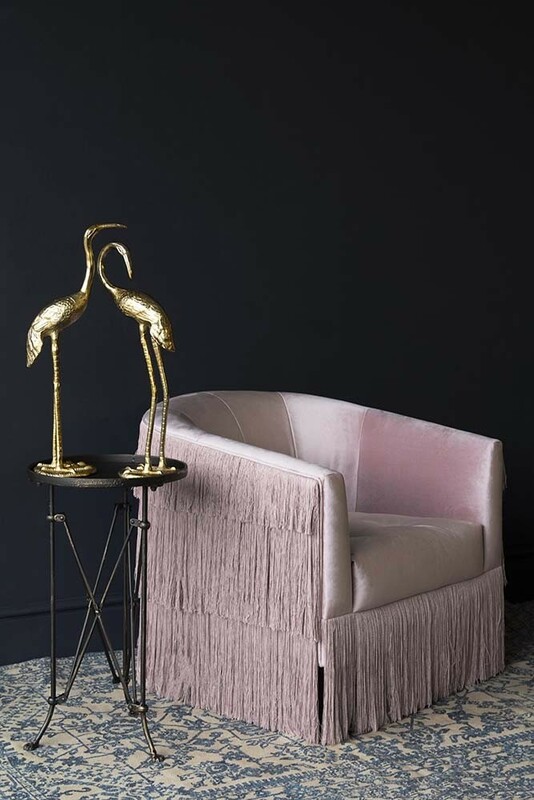 Excellent for adding texture and individuality into your home the Fabulous Fringed Pink Velvet Armchair will turn heads and is a fabulous talking point for guests. With a striped back and high arms for added comfort, it’s easy to imagine yourself sitting in the Fabulous Fringed Pink Armchair on a lazy afternoon reading your favourite book or glossy mag! 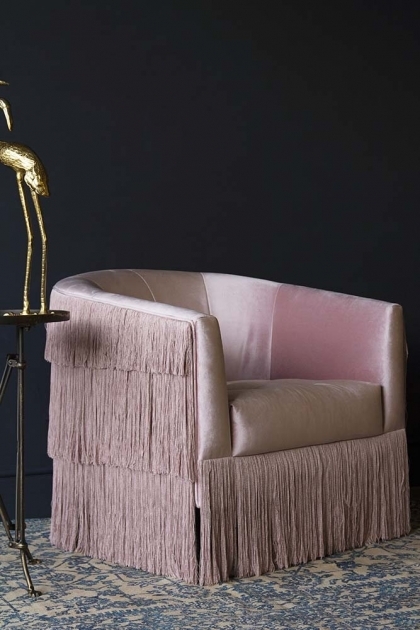 Utterly unique, the Fabulous Fringed Pink Armchair is a bold and statement furniture piece that you will love.